Teens have something to say about the ways that Sky™ B and Roger™ Pen help them connect with friends, music and technology. 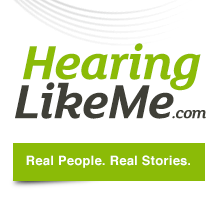 Hearing aid users share their experience. These are their stories, in their own words, about how today’s hearing technology helps them fit in at school, on the field, and at home. "I got these new hearing aids and I put them on and immediately it was like a whole new world." Audrey explains how her new Phonak hearing aids and Roger Pen makes her feel much more confident in social situations and not just listen but to engage in conversations. "The Roger system compared to other systems I’ve used in the past.. OMG, it is so much better!" Megan uses the Roger Pen in most of her classes and describes how it opened up a whole new world of opportunities for her. "Over the course of my life, I have used many FM systems at school. However, none of them compare to the Roger system my parents purchased for me. This system has completely defeated all the obstacles I had faced with FM systems in the past. It has really changed my life. It has boosted my grades at school and it has given me a new sense of confidence. I no longer have to worry about static or FM channels. I feel comfortable with Roger and cannot wait to bring it with me to college!"